I was 17 years old when I attended the birthday party of my girlfriend’s brother. I was heavily into music and sound by that age, and was doing the best I could to upgrade my stereo on the paltry amount of money I could raise. Imagine my surprise when the little twerp’s uncle gave him a birthday present that I would have given anything to own: his old pair of Bose 901 speakers, along with his McIntosh MC2100 power amplifier and MX-113 preamplifier-tuner. That system flat-out rocked in his little bedroom. On hearing it, I immediately knew that I wanted McIntosh in my system. Flash forward 27 years. Here I sit in my listening room, the Music Vault, with the brand-new McIntosh MC452 ($7500 USD) powering my audio system. This amp has sonic prowess the MC2100 couldn’t even dream of 30 years ago. This is not your high-school girlfriend’s brother’s McIntosh. 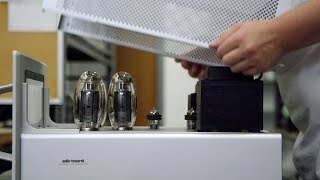 The McIntosh Laboratory MC452 is rated to deliver 450Wpc into 8, 4, or 2 ohms with no more than 0.005% distortion, regardless of power output level. 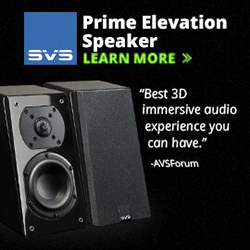 It also is capable, according to McIntosh, of 1.8dB of dynamic headroom. The big blue meters -- a McIntosh hallmark -- that adorn the front of the MC452 indicate a peak power output capability of 1.8kWpc. McIntosh claims a peak output current rating of 75 amps. Although McIntosh makes more powerful amplifiers of the monoblock variety, the MC452 is currently their largest, most powerful stereo model. And large it is: 17.5"W x 9.5"H x 22"D and weighing 110 pounds. Another notable spec is the signal/noise ratio: an impressive 122dB through its balanced inputs, just below rated output power. That’s dead quiet, folks; in use, the MC452 had one of the lowest noise floors of any amp I’ve heard in my system. The technology used to generate such impressive specifications is wide ranging. First, the MC452 is what McIntosh refers to as Quad Balanced. This means that each channel consists of two matched amplifiers operating in push-pull, their outputs combined in the McIntosh Autoformer. The Autoformer is a type of transformer -- wound at McIntosh Labs -- that ensures that the MC452 is always working into an optimum load. 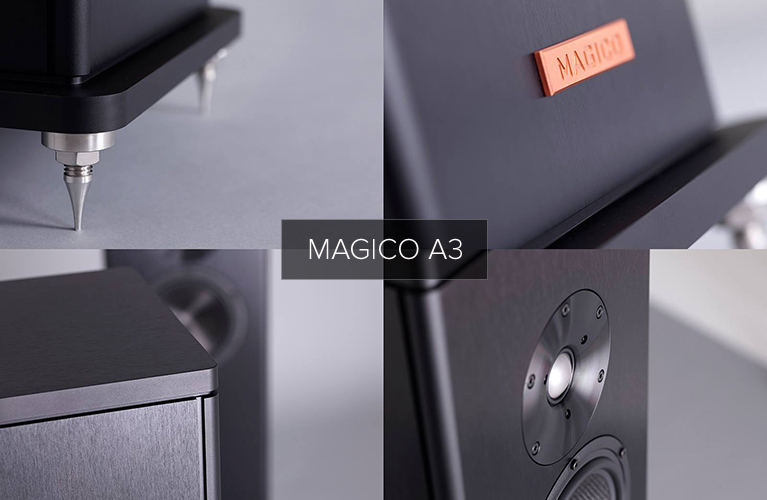 This feature gives the MC452 the ability to shrug off the worst a loudspeaker can do to it with low or widely varying impedances, and means that you, the user, will always enjoy knowing that the amplifier is operating in ideal electrical and thermal conditions. 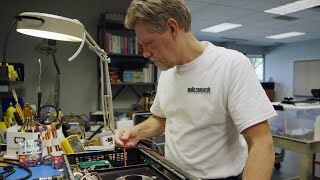 McIntosh says that because the Autoformer is of wider bandwidth than the circuits within the amplifier, it can in no way limit the MC452’s performance. The very latest McIntosh amps, including the MC452, use transistors called ThermalTraks, made by ON Semiconductor. 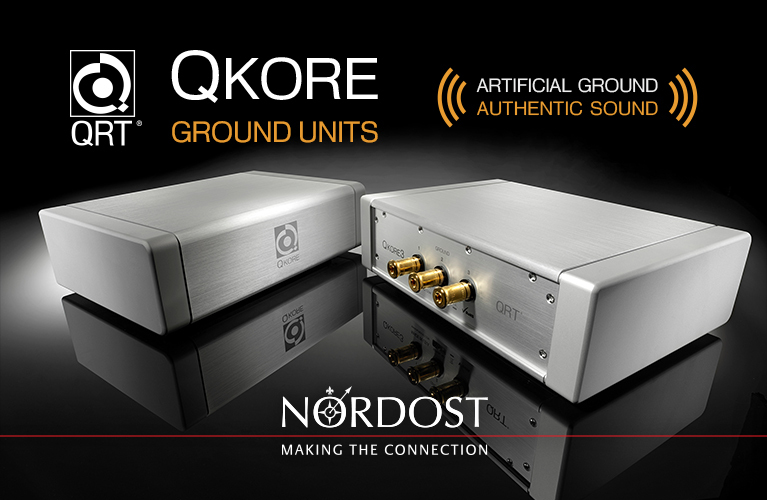 These output devices -- the same that Ayre Acoustics uses in its MX-R and VX-R amplifiers -- allow the MC452 to constantly monitor the operating temperature of each device and therefore ensure the cool operation and low distortion that result from better thermal regulation and more precise biasing. 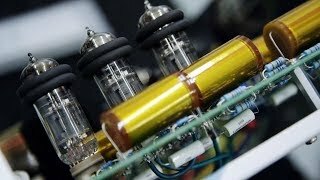 McIntosh claims that they “know how to properly design negative feedback circuitry,” which is partly responsible for the incredibly low distortion figures. The front panel is dominated by the two large, blue, analog power-output-level meters, which, in one form or another, have been present in various McIntosh amplifiers for decades. These differ from the meters in older Macs in that they’re fiber-optic and LED-powered -- no more changing light bulbs every few years. Below each meter is a knob. The one on the left controls the meters’ operation: Lights Off, Watts, Hold. Hold lets you see the peak wattage the amp is producing, holding the highest level for a few moments, then decaying at a rate of 6dB/minute; Watts gives you the real-time power output level. The knob on the right turns the MC452 On or Off, or allows it to be remotely controlled (the MC452 can also control another amplifier’s turn-on) through the 1/8” Power Control input/output jack on the rear panel. On the rear panel are balanced XLR and single-ended RCA inputs, a switch for choosing between them, and three pairs of vertically oriented binding posts per channel (pairs for 8-, 4-, and 2-ohm connections). These large, gold-plated posts are proprietary to McIntosh, and will appeal to those who covet jewel-like appearance and ease of use. They’re robust in build and flashy in appearance. 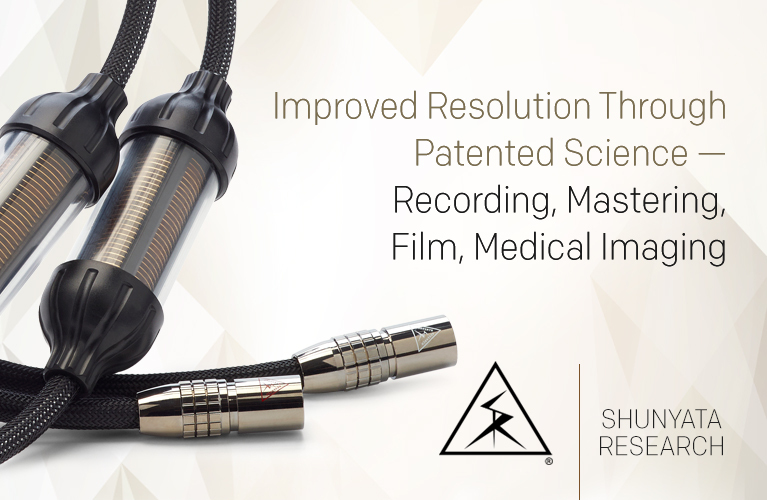 Also on the rear panel are XLR and RCA outputs that can be used to daisy-chain additional McIntosh amplifiers, sending the audio signal directly, which avoids having to have multiple outputs on your preamplifier (or worse, using splitters). Directly behind the MC452’s glass front panel is the massive 30-pound output power transformer, flanked by the left and right Autoformers. This weights the MC452 heavily toward the front, so be careful when moving it around. Behind the heavy iron are the output stages, to which are attached generously sized heatsinks (2800 square inches’ worth, per McIntosh), and between these are four large, soda-can-sized filter capacitors covered by a metal plate. All of this hardware sits on a stainless-steel chassis polished like the bumper of a classic muscle car. It all gives the MC452 a very manly appearance, and the big aluminum handles at the ends of the front panel round out a gorgeous overall package. This is one nice-looking amp that you’ll be proud to display in your listening or living room. The MC452 is protected from harm by several McIntosh technologies: Sentry Monitor and Power Guard. The former protects the amplifier from faults that might otherwise harm the output stage. The latter, essentially an anti-clipping circuit, protects your speakers from having to reproduce tweeter-frying distortion if the amplifier is overdriven. The packing of the MC452 was thoroughly rugged: The amplifier arrived bolted to a plywood base inside the large double cardboard box packed with plenty of foam. The accompanying manual is full of info about the MC452’s setup, design, and hardware. Two words: fast and smooth. The latter is probably somewhat predictable, the former definitely not. Nonetheless, those were the words that came to mind after my first hours of listening to the MC452 in my system. I’m not sure if the new ThermalTrak transistors account for a sense of speed that I’d never heard from a McIntosh amplifier before, or if the Mac Labs engineers have successfully refined the circuitry in some other way, but the MC452’s sound was the antithesis of tubby and slow. It was as deft and agile in my system as an elite athlete at the NFL Combine. But don’t think Spectral-fast here -- for better or worse, depending on your perspective, the MC452 didn’t have that type of sound -- but it was quick and responsive, precisely tracking micro- and macrodynamic swings. In that respect, it did not in the least sound “tube-like” (as some call it). It was also smooth as silk throughout the entire audioband. I had the MC452 paired with a set of the original EgglestonWorks Andra loudspeakers, which are known as smooth operators -- more so than the resolution monsters I’ve had in the Music Vault the past few years. Still, that Dynaudio Esotar tweeter in the Eggs is a very revealing drive-unit that can fully expose a strident-sounding amp. But no matter what type of music I threw at it, I could never get the MC452 to sound strident or stressed. I could still hear the flaws in bad recordings, but I had to be deliberately listening for the tiniest of these details to make them register in my mind as flaws. What I heard with the best recordings was at once detailed and smooth, never icy or sterile or hyper-revealing. For instance, Ola Gjeilo’s acoustic piano in his “North Country II” (TWBAS 2012 Hi-Rez Demo, 24-bit/176.4kHz FLAC, 2L/SoundStage! Recordings), was at once beautiful in tone and smoothly rendered, but I could also hear deep into the soundstage. When the other instruments enter, the MC452 kept all the players distinct and delineated in a purposeful manner. The MC452’s sound is a really nice balance of detail and smoothness that I think will suit most loudspeakers well. Speaking of suiting most loudspeakers, the MC452’s power rating of 450Wpc should be taken very seriously. I could never stress the MC452, no matter how loud I played my music. McIntosh makes monoblocks rated to deliver more than three times the MC452’s power output, but it’s hard to imagine needing more watts than the MC452 can produce -- unless you have the biggest speakers in the biggest room. With the Andras in my 23’6”W x 20’1”L x 9’H listening room, I never reached the MC452’s power-output limits. In fact, rarely did I see its meters (when set to Hold) move past the 45Wpc output level -- a mere 10% of the amp’s continuous power rating! The MC452’s power-producing capability really seems to be in the super-amp category. For a reviewer like me, it’s a joy to have on hand an amplifier that can squeeze out so much clean juice. For the great majority of audio systems, I can’t imagine the MC452 being a limiting factor. The control the MC452 exercised over the Andras’ bass was just short of the iron-fisted variety you might hear from a much-more-expensive Gryphon or Vitus amp. 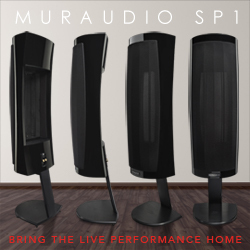 Then again, the Andra’s bass reproduction is slightly more round and plummy than that of, say, a Rockport Technologies speaker. So that was a bit hard for me to judge. There was never any truncation of bass depth, however, and that made for a powerful sound. There were times when the MC452 astounded me with the way it made my music sound huge and enveloping, fully pressurizing my room for sustained periods. I never tired of listening to large-scale music or bass-laden tracks. For instance, “Low,” from solo electric bassist Jonas Hellborg’s The Silent Life (16/44.1 ALAC, Day Eight Music), was visceral and room-flexing, and at the same time deftly agile and textured. The bass wasn’t overdamped, but full of expression and feeling. I could easily hear the sonic fluctuations of Hellborg’s bass. I mentioned that the MC452 could sound big and powerful, mimicking the way it will look sitting between your speakers. It could also pinpoint a lead female singer on the soundstage as well as almost anything I’ve had in my system. 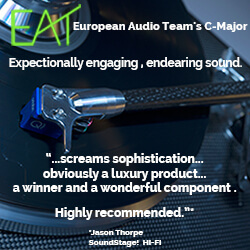 But I wouldn’t call the MC452 hyper-precise; again, it struck a nicely balanced perspective in most sonic parameters on which audiophiles might judge it. But don’t mistake that balance for ambiguity, or detail gone missing in action. The MC452 wasn’t a laser pointer, but it let me map the soundstage with large, round images. Sounds like a crazy comparison, huh? Well, yes, I suppose it is. The Gryphon Colosseum stereo amplifier retails for a massively expensive $43,500. As beautiful as the McIntosh MC452 is, it can’t hold a candle to the Colosseum in terms of elegance and strikingly beautiful styling -- but then, neither does anything else I’ve seen. I don’t think the Colosseum has ever been equaled in terms of industrial design. The Gryphon, however, does seem to suffer in terms of specs compared to the big Mac: it’s rated to deliver “only” 160Wpc into 8 ohms. This, of course, is misleading -- the Colosseum operates in class-A, and doubles its output with each halving of impedance. The Colosseum’s 176-pound weight hints strongly at its power reserves. In many ways, the MC452 sounded like a mini-Colosseum, whose sound I described early in 2011: “The music was presented as huge, bold, and oh so grand.” The same could be said of the MC452. I also said of the Colosseum that “there was never a hint of stridency in the sound, and absolutely no grit or hash.” Check that off the list for the McIntosh as well. Lastly, I observed the Gryphon’s “proverbial ink-black backgrounds from which music emerged unchallenged by any hint of noise.” This trait was especially true of the MC452 -- the Mac was dead silent in operation, maybe even a touch quieter than the Colosseum. Where the Gryphon pulled away from the MC452 was in its ability to dig deeper into the acoustic space of the recording, pulling out microdetails that the MC452 sometimes slightly scaled back. The Gryphon also had greater abilities at the frequency extremes: bass that was more Rock-of-Gibraltar solid, highs that were more expressive and airy. Still, the fact that the MC452 could hang with the Gryphon for less than one-fifth the price is a minor miracle. It’s likely that most of you reading this article might be able to afford the MC452 -- either now or as an aspiration -- but could never consider the Colosseum. And some would never spend $43,500 on a stereo component no matter how much money they had. That’s OK. The McIntosh MC452 gives you a wonderful alternative at a wholly sane price. You won’t be missing nearly as much as the cost disparity between these products might indicate. 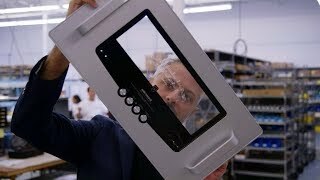 For what you’ll save alone, you can build the rest of your top-flight audio system! The McIntosh MC452 is one of the best bargains in high-end amplification that I know of. I can’t think of another amp that can come as close to super-amp performance for a lower price, or even several thousand dollars more. It’s super-quiet in operation, immensely powerful, gorgeous to look at, built like a tank, and sounds like silk. 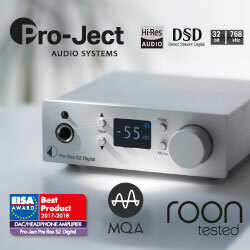 If you buy one, you can be assured that you’re getting a long-lasting component from a company that has been making power amplifiers for longer than many of us have been alive. What’s not to like about that deal?